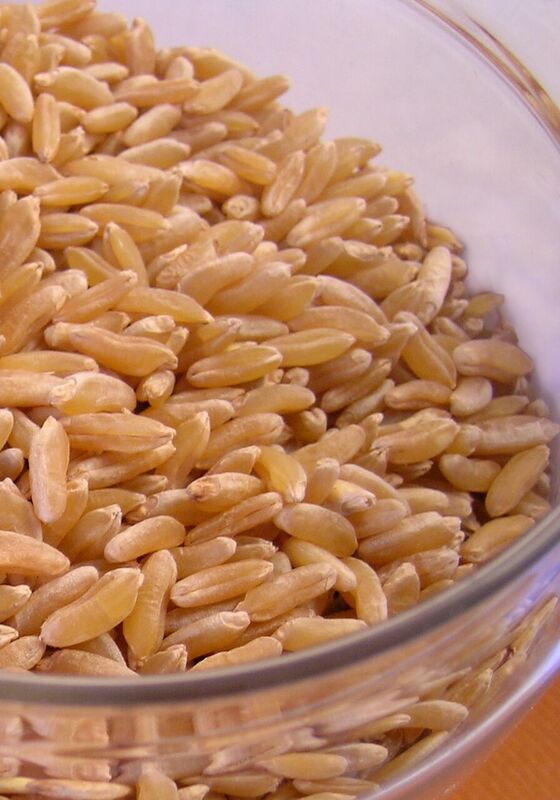 Khorasan wheat, like emmer/farro, einkorn, and spelt, is an ancient variety of wheat, meaning that it has been largely unchanged by breeding over the last several hundred years. The kernel of khorasan wheat is unusually large compared to other wheat varieties and it was the size of the grain that ﬁrst caught the eye of 16-year-old Bob Quinn at a Montana county fair in the mid 1960s. Years later, Bob and his father, Mack, decided to track down the seed and start growing it themselves, organically. It turned out that this grain was unusual in more ways than one. Its sweet, nutty, buttery ﬂavor was attracting interest from pasta makers, bakers, and consumers alike. Some consumers who thought they were sensitive to modern wheat began reporting that this ancient wheat variety seemed easier to digest, causing less gastrointestinal distress or inﬂammation than they typically experienced with wheat products. Recognizing that this ancient wheat variety had numerous culinary beneﬁts, as well as potential health advantages, Bob decided to preserve this strain of wheat under a trademarked brand name, KAMUT®, which would protect it from being hybridized or modiﬁed. Prioritizing sustainable growing practices, Bob made it a condition of the trademark that any grain branded KAMUT® be grown organically, and that products made with KAMUT® grain or ﬂour also be certiﬁed fully organic in order to use the KAMUT® name. As Bob’s company began to grow, he became more interested in understanding the nutritional characteristics of the grain and began advocating for new research. 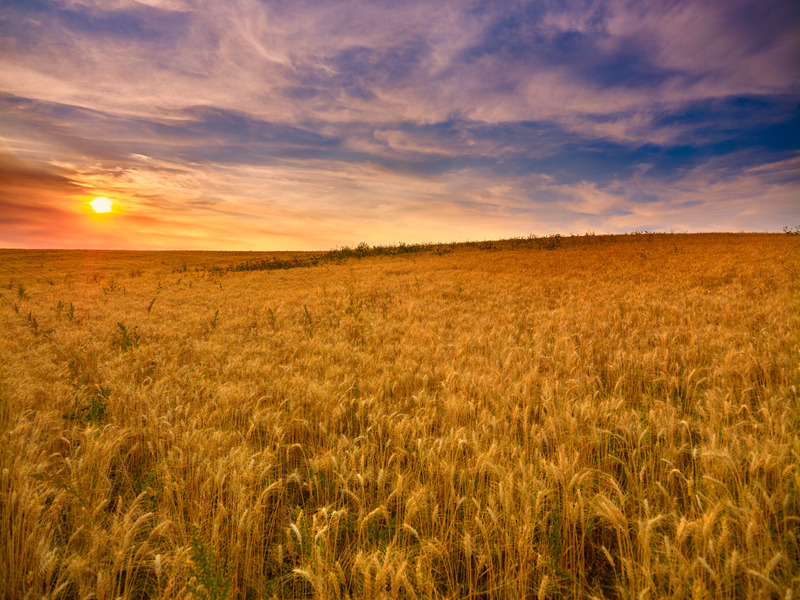 A few years ago we wrote a blog post about one of the ﬁrst human clinical trials done to test the eﬀects of KAMUT® wheat versus modern wheat on human health. The study indicated that KAMUT® wheat may contribute to lowering cholesterol as well as reducing levels of certain markers of inﬂammation compared with modern wheat. While the study was very small (just 22 subjects), the results were compelling enough that a series of other studies have been launched in the convening years, studying the eﬀect of khorasan and other ancient wheats on cardiovascular health, diabetes, irritable bowel syndrome, and non-celiac gluten sensitivity. Whether because of the unique ﬂavor of KAMUT® wheat, or because of the growing body of research about its nutritional attributes, or perhaps simply because of the posh, trendy position it holds as an ancient grain with a good story, commercial interest in KAMUT® has grown signiﬁcantly in recent years, with companies from Patagonia to Kashi jumping on board. Today our Whole Grain Stamped product database includes more than a hundred KAMUT® brand products – from pastas, to breads, to cereals, to pilafs – sold by 38 diﬀerent brands. And as more food manufacturers have started to incorporate this grain into their products, the community of farmers growing the crop in North America has grown to meet the increasing demand. 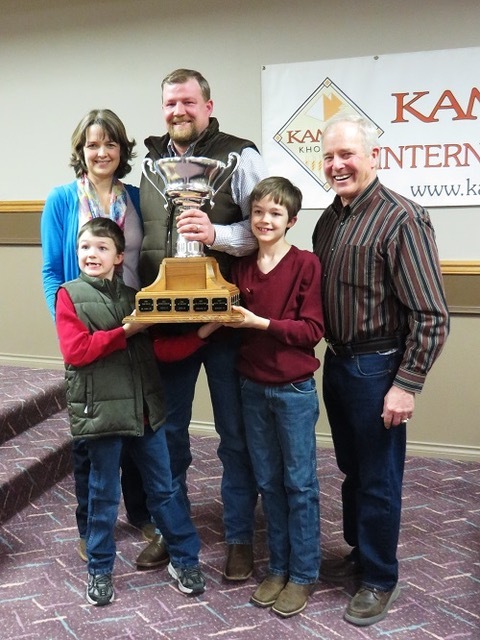 Many of these farmers gather together each winter at the Kamut International Farmer Appreciation Dinner where awards are given, stories are exchanged and best practices are discussed. I would like more information about Kamut. I lived in Eastern Europe for 2 years and found I didn't have my normal digestive problems. When I came back to America I felt sick immediately. I have been feeling great since I don't eat any wheat products anymore. I ate Kamut 3 different times and did not have any problems. I will continue to experiment with this grain. Enjoy your KAMUT® adventure, Malinda! We're big fans of this grain.